Like parenting, in home dog training can be difficult and challenging. We all love that perfect dog that is attentive, yet able to remain independent and calm. And like humans, dogs come with their own individual personalities, strengths and weaknesses. Developing a relationship with your fur animal comes easy, but in home dog training? That’s tough. In order to accomplish dog obedience in the home it’s important that you first create an environment that is conducive to learning. The rest is about encouraging your friend to develop skills that are favorable to your lifestyle. Being a good pet parent is a little like being a life coach, it requires many ‘atta boys’ and gentle persuasion, rather than being the big, scary boss that scares you into submission. Understanding dog behavior is also vitally important in order to train them successfully. Below, you’ll learn everything there is to know in achieving dog obedience in the home and how to make it stick. Like us, dogs learn by trial and error and what works to get what they want. Many bad habits are simply learned because your dog did something, it worked and they kept on doing it. Simple really. That means that many behaviors are accidental and once bad habits start they can be really hard to change. Many puppy behaviors such as jumping up, barking, pulling on the lead, chewing and nipping can persist. It is unlikely your puppy will simply grow out of them or learn habits from well trained dogs. Your in home dog training efforts will teach them more appropriate ways to get attention. Do I Need to be the Alpha Dog? There are still many outdated trainers out there that advocate asserting your dominance over your dog in a bid to make your dog conform to a lower position in the pack. These in home dog training methods are no longer recommended and ultimately make many problem behaviors such as fear aggression more likely. It really doesn’t matter who goes through a doorway first and whether your dog sleeps on the bed. The most important thing is to reward good behavior and ignore all the bad stuff and to be consistent in the way you behave towards your dog. Keep your in home dog training fun, positive, reward-based and train in short 5 minute sessions in various locations. Avoid training when you or your dog are tired and grumpy. Patience and consistency is key. Your dog will sense if you are angry and frustrated, so don’t train if you are feeling stressed or rushed. Everyone in the household needs to have the same standards for behavior and reinforce the same patterns and rules. Anything else is really very confusing for your dog. So if mum lets the puppy on the bed, but dad doesn’t the poor pup is not going to understand why dad keeps getting angry at him. Dog obedience is not accomplished through punishment. Hitting, shouting at or spraying with water will only confuse the dog. They rarely make the connection, even if we think it is obvious what they have done wrong. A dog that chewed your favorite pair of shoes and looks guilty is just responding to your angry voice and is scared when you shout. If your dog is doing something you need him to stop doing, clap your hands as a distractor and get him into another activity. And pick up those shoes if you have a curious puppy exploring! Dogs are like toddlers, they will put just about anything into their mouths, so puppy proofing your house or setting your dog up in a playpen when you can’t supervise is more appropriate than expecting him to know the difference between your leather boots and his chew toys. If your dog loves food, training will be incredibly easy. Treats can be anything from a small piece of liver treat, bbq chicken, raw carrot or even just his regular dry food. If your dog isn’t that motivated, do your training before mealtimes. The ideal way to train your dog is to use his daily ration of food throughout the day to train with. Just put it into a ziplock bag, then take it with you on walks so you can reward positive interactions, get his attention and train him to heel. Dogs are also rewarded by eye contact and attention. So if your dog is jumping up on you or barking for attention, do not look at him and ignore him until he is calm again. The key to achieving dog obedience is to catch your puppy in those moments when he is being ‘good’. Similar to kids, if tantrums are what get your attention, it is likely they will act up more. If they receive praise and attention when they are quietly playing with their toys or sitting on their bed, they will perform more of these behaviors. The most essential skill to teach your dog is to respond to his name. This is the basis for having an attentive dog who is keen to listen to you. To begin, say your puppy’s name and as soon as he makes eye contact, give a treat. At first, you may need to hold the treat in your hand and bring it towards your eyes, like a lure to encourage him to make eye contact. This is the basis for having an attentive dog that looks to you for direction. Your dog is learning from you whether you are consciously training or not. Rather than letting him learn by accident, use every interaction as a training opportunity. Equip yourself with those treats and take them out and about with you so you can train at the park, at home, at the vet clinic, absolutely everywhere you go together. Ask your dog to sit before any treat or for pats. Ask him to sit before his meals, before his lead is clipped on and before you greet him when you first get home. Asking for this consistent behavior gives your dog something to do that reliably gets a reward. Many behavior dogs repeat are simply to get our attention. That high-pitched bark, jumping up, nudging into you or scratching at the door are all bids to get you to look at him. 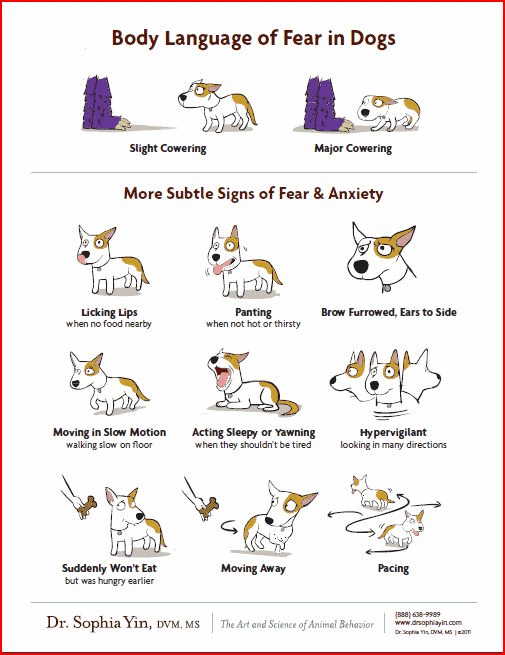 If you avoid responding to any of these behaviors and only look at your dog as soon as he stops, he will soon learn better ways to behave. Try to catch your dog when he is resting quietly, playing independently and when he is calm. Reward these behaviors with your attention. Ignore him when he is jumping up by turning your back to him. As soon as all 4 paws are on the ground, go down to his level to give him a pat. Puppies need to chew on things that are appropriate like Kongs and should also be given activities to do during your absence. Get into the habit of giving him something to chew on when you leave, so that becomes a positive thing. Here are some ideas for what to put in a Kong to keep your puppy busy. It can be useful to teach your dog to spend some time occupying himself even when you are home. Having the velcro dog that never leaves your side can be nice, but it can also be distressing for them when you are not paying them attention when they want it constantly. Teaching your dog obedience through crate training or staying on his bed can be incredibly useful. To begin, use a treat as a lure and place a treat on your dog’s bed. Keep throwing treats to your dog for staying on his bed. You should slowly be able to take some steps back, while rewarding your dog for staying there. If you see any of these signs, particularly around children or other dogs, get him out of there and perhaps seek some advice from your vet. Dog bites never happen out of the blue, there is usually ample warning that the dog was uncomfortable with a particular situation. In puppies that are ‘shy’ or slower to interact, don’t make them play with dogs they aren’t comfortable with. Start out with smaller dogs, and use lots of treats to put them into a happier, positive state of mind. You can’t reward fear, but you can change fear into happiness with food- which is the key ingredient of dog obedience. Toilet training – How to toilet train your dog in 3 days. The post In Home Dog Training: Striving for Dog Obedience appeared first on VetBabble.